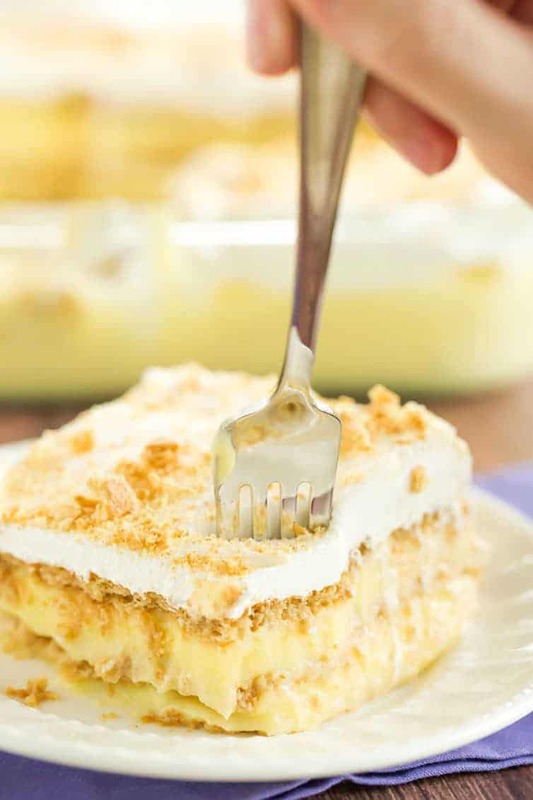 My grandma’s staple summer dessert – icebox cake with simple layers of graham crackers and vanilla pudding, topped with Cool Whip and graham cracker crumbs. A couple of weekends ago, I was doing some cleaning up in the kitchen when all of a sudden I started craving my grandma’s icebox cake. 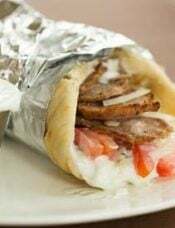 The thought came crashing into my head like Super Grover flies into a scene on Sesame Street (this is life right now), and I couldn’t shake it, so I made it a few days later for our Sunday dinner and it totally tasted like I was sitting at my grandma’s house. 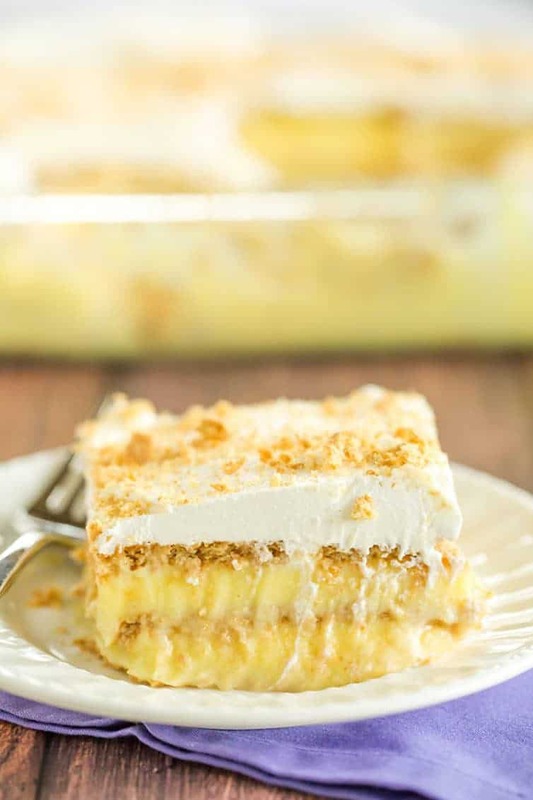 This icebox cake was one of her specialties for as long as I can remember, and from what I understand, something she had been making since my mom was a little girl. 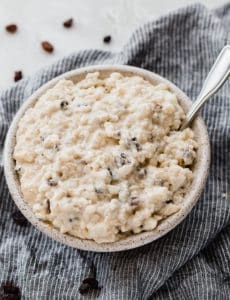 It’s a very simple dessert with simple ingredients, but it’s one of those feel-good dishes that excites you when you see it sitting on the table. It really epitomizes the notion that food doesn’t always have to be fancy or made to impress, but it should make people feel comfortable. This is a straight-up old-fashioned, classic icebox cake. I’ve made a ton of icebox cakes in the past, but this one is a total throwback to a simple graham cracker + pudding icebox cake. No crazy flavors, no fancy layers, nothing but graham crackers, vanilla pudding, and Cool Whip. One of the best things about this dessert is that you can make it with any flavors that tickle your fancy (or that you currently have in your pantry). We usually had it either with all vanilla pudding or with one layer of chocolate and one layer of vanilla. With all of the new flavors abounding for instant pudding (as well graham crackers! ), you could go crazy with a lot of different options. 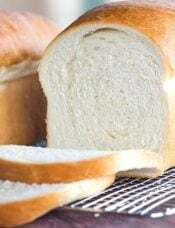 When I served this on Sunday and heard more than one person say, “it tastes just like Grandma’s,” my heart was full of joy. 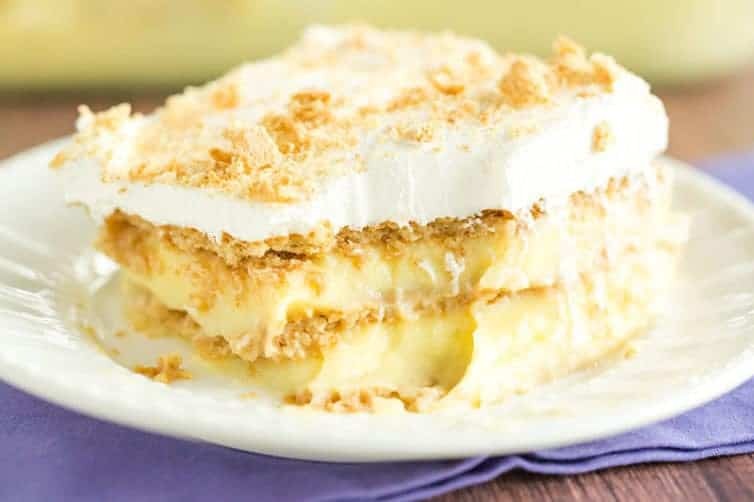 My grandma's staple summer dessert - icebox cake with simple layers of graham crackers and vanilla pudding, topped with Cool Whip and graham cracker crumbs. In a large bowl, whisk together the pudding mix with the milk for 2 minutes. Set aside for 5 minutes to thicken. 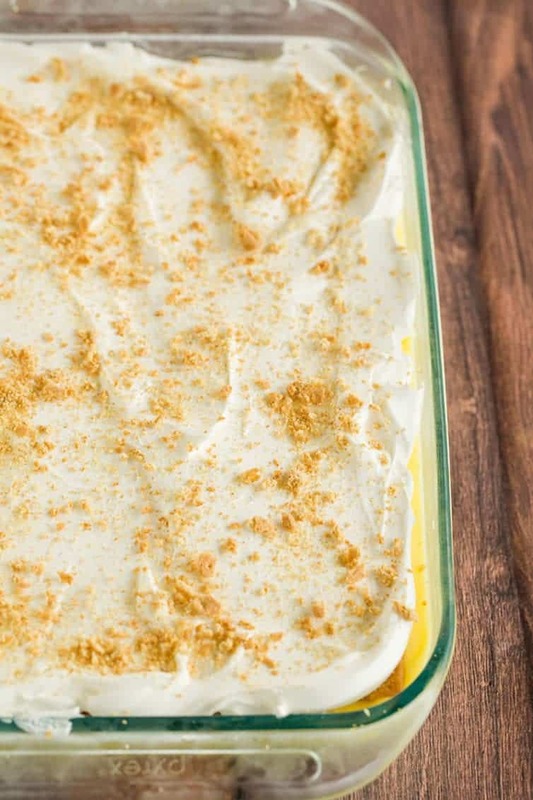 Line the bottom of a 9x13-inch pan with graham crackers (you may need to use halves or quarters to fill in spots). Spread half of the pudding over the layer of graham crackers. Add another layer of graham crackers on top of the pudding, then spread with the remaining pudding. Top with a final layer of graham crackers and spread the Cool Whip evenly over top. Crush 1 graham cracker into crumbs and sprinkle over the Cool Whip. Cover and refrigerate until cold and set, about 3 hours, or overnight. Leftovers should be stored, covered, in the refrigerator for up to 3 days. You may not use all of the graham crackers in the box, that's okay. 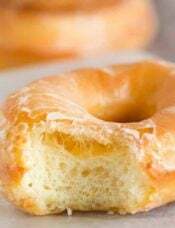 This recipe was originally published on February 10, 2010. I prefer Cooked pudding. I do not like instant pudding. Those who use cooked pudding…do you cool the pudding or pour it onto Graham crackers while hot? 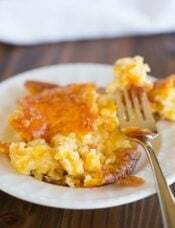 I use to make this recipe years ago but I added banana slices on top of the pudding. I’m going to make this for my friend who needs a pick me up. He loves chocolate. I think the 2 flavors will be delicious. Hi Marilyn, Yes you can use any flavor you’d like! I made this for Thanksgiving and it was so good! But…I forgot to put it out until after most people already had dessert. Do you know if it freezes well? Hi Lisa, Unfortunately I don’t think this would freeze well; I’ve found most pudding-based desserts don’t do well thawing. This is soooooo good! 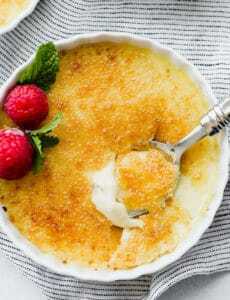 Had Sunday lunch with friends after church and served this yummy dessert! Hello, Your directions say to use 2 5.1 oz. boxes of pudding but in the comments below you answered a question by Joni and noted to use 3.4 oz. boxes. Can you clarify for me which it is for certain. Thank you. 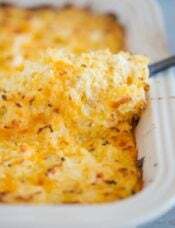 Hi Michelle, I had originally not even included a size, but after making the recipe multiple times, I finalized it in a 9×13 pan with the 5.1 ounce boxes. Oh I’ve used this recipe and yes it’s really good. I did some experimenting with the recipe and I found that it could be made in individual glasses or cups – depending on how many you’re expecting for dinner. Also for just the two of us I was able to make a couple of extra cups – cover with saranwrap and have the next day. Each to his or her own take – what works for one may not work for the other – just experiement. Thankyou it brought back going to grams house. I now made it with my grandson. In stead of cool whip on top I put hot fudge topping. .it was sooooooooo good. It looks so good and the instruction is simple. Thank you for sharing the recipe! Gonna try it! 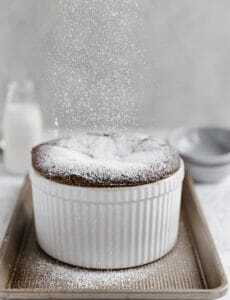 Find this recipe right when I’m craving for some pudding. These look wonderful! I can’t wait to make it. Hi Michelle! This looks so summery and delicious. I’m going to make it this weekend for my moms Memorial Day picnic. How far in advance do you personally make it before serving? That same day or the night before? Thanks so much! Definitely make it the day before to give the crackers time to soften. Otherwise, the crackers will be too hard. It gets better the longer it sits, so it’s definitely something you can make ahead. I’ve been making a similar version for years and it’s always a huge hit. Sometimes the simplest desserts are the best. I almost feel guilty making it because it’s so easy, but it’s one of those things people actually request me to make. So it’s a win-win for everybody! I use French Vanilla pudding and mix it right in with the Cool Whip. Then I alternate layers of the pudding/Cool Whip mixture and graham crackers, ending with crackers. Then I spread a tub of chocolate frosting on top. So good!! It’s funny, when I saw the title on this email today, I immediately thought of the icebox cake my memere (French-Canadian grandmother) always made and was expecting a completely different recipe!! Hers was chocolate cookies, layered in long rows with whipped cream and then frosted with whipped cream. Had to be made a day ahead to be just right. So delicious. This looks super good too though. Looks like I will have TWO Grandma’s icebox cakes to make now. Love, love, love icebox cakes. 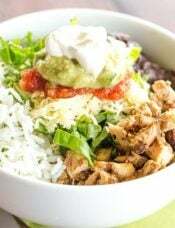 Super easy, feeds a crowd, easily adaptable. I made several last year to give with a meal train. People were always so excited to receive them. I even used leftover cannoli filling for one and you should’ve seen the vultures in my family! This dessert reminds me of family picnics when I Hubby and I first married. Old fashioned and oh so satisfying!! I’ll have to make it for my grandsons — I don’t think they’ve ever tasted it. Thank you for the reminder.